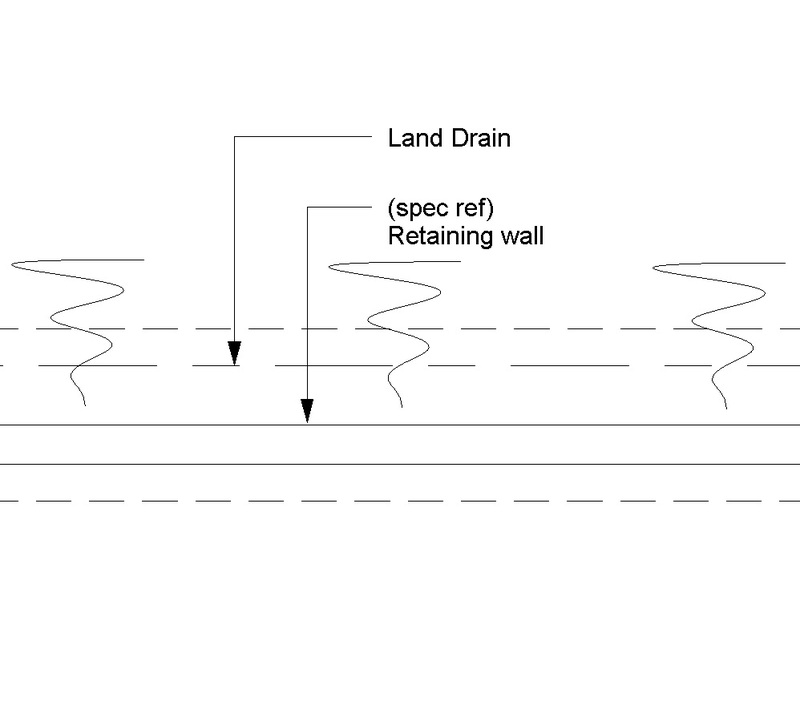 A pressure relief filter drain system typically comprises of items such as geotextile trench lining, collector drains and backfill to trenches. Complete this electronic spreadsheet to ensure that your Filter drain pressure relief systems product information meets the requirements of Level 2 BIM. This is important as it will enable your customers to select, specify and use your products within the BIM environment. Once you have completed this template you can host it on your own website or distribute it to your customers. Please note that we do not host completed product data templates within the BIM Toolkit. The above illustrations are for Filter drain pressure relief systems from the NBS section Pressure relief drainage systems. This is indicative of the LOD requirements for Filter drain pressure relief systems. Visual information to provide fixed principles of the design supporting procurement. Developed coordination between all professions. Visual representations showing coordination for general size and relationships between different elements of the construction. Graphical representation of system, dimensionally accurate indicating primary performance characteristics. Graphical information represented may alter depending on visual information to be produced, e.g. : Scope of work drawings, setting out, etc. 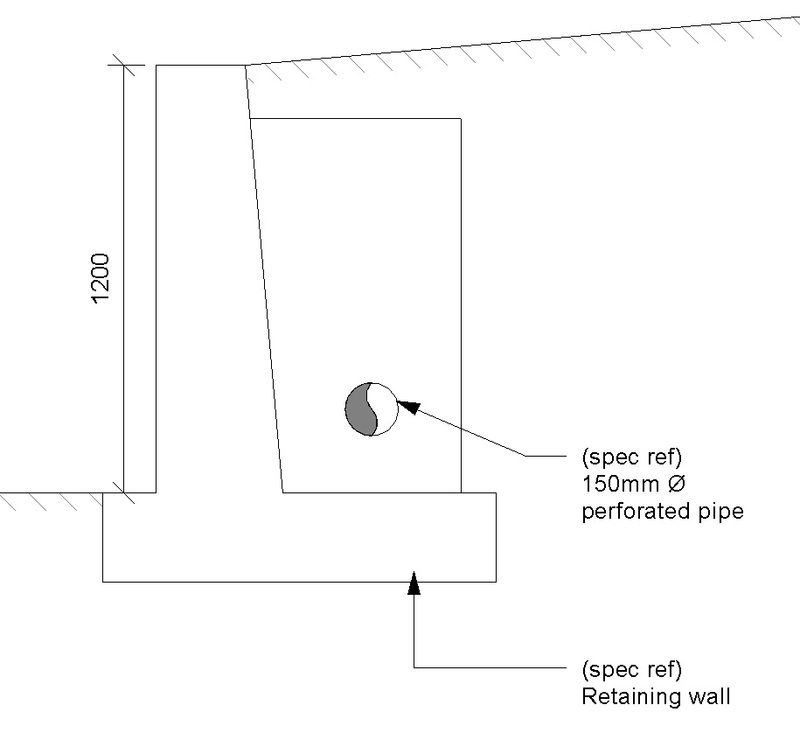 Typical / Installation details separately produced linked to model element and adjacent constructions. Compliance with performance requirements Requirement, Method and Submittals. 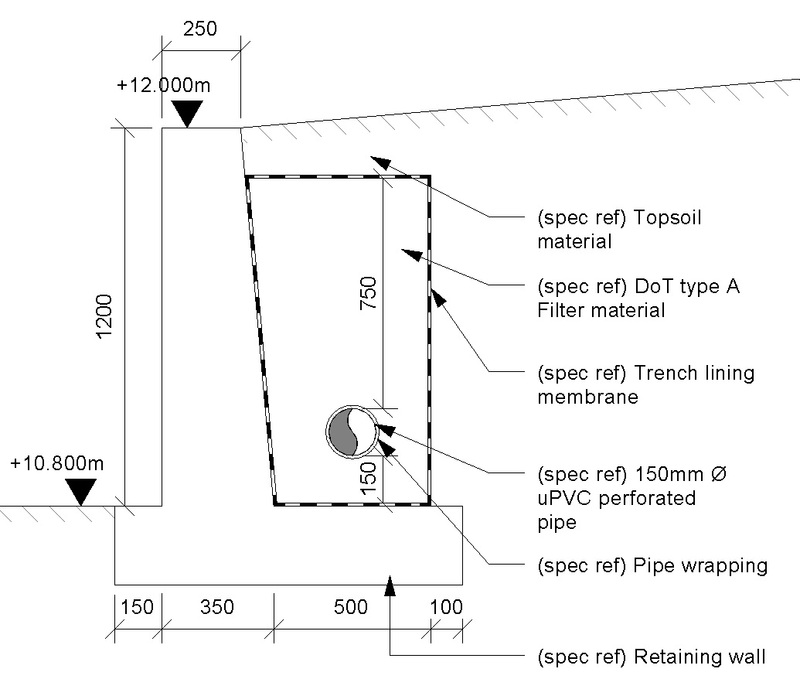 Design of pressure relief drainage systems Design, Standards and Ground investigation report. System manufacturer The System manufacturer of the Filter drain pressure relief systems. Geotextile trench lining Products such as Plastics sheets. Collector drains - Pipe bedding and surround - Bedding Products such as Base, bed and fill coarse aggregates. Collector drains - Pipe bedding and surround - Surround Products such as Base, bed and fill coarse aggregates. 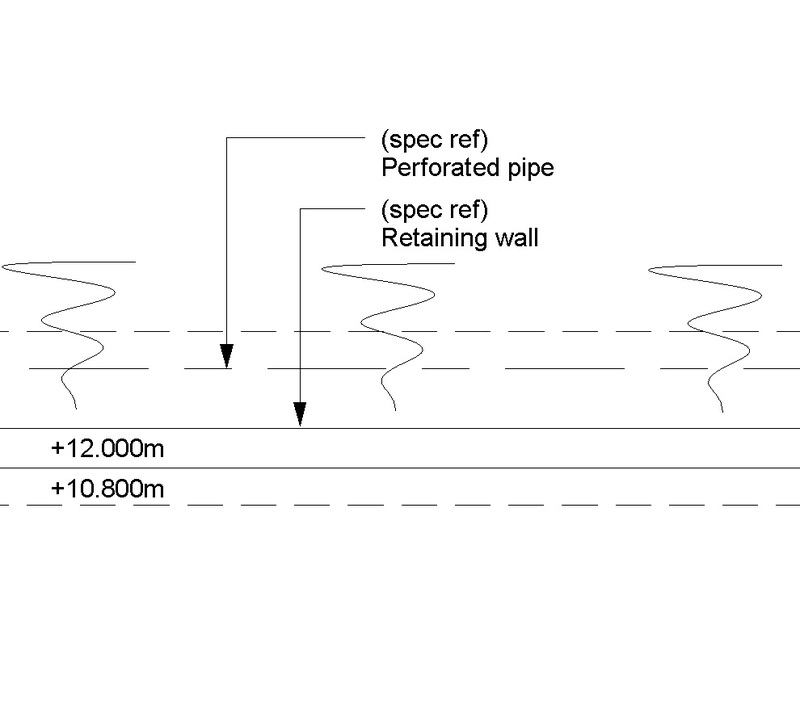 Collector drains - Pipes Products such as Unplasticized polyvinyl chloride (PVC-U) solid wall below-ground drainage pipe and fittings for flexible jointing. Collector drains - Geotextile pipe wrapping Products such as Plastics sheets. Collector drains - Collector drain accessories - Accessory type Products such as Plastics rodding eyes. Collector drains - Collector drain accessories - Bedding Products such as Base, bed and fill coarse aggregates. Collector drains - Collector drain accessories - Surround Products such as Base, bed and fill coarse aggregates. Collector drains - Collector drain accessories - Backfill Products such as Base, bed and fill coarse aggregates. Backfill to trenches - Granular material Products such as Base, bed and fill coarse aggregates. Backfill to trenches - Geotextile top layer Products such as Plastics sheets. Backfill to trenches - Filling to finished ground level Products such as Base, bed and fill coarse aggregates. System accessories Products such as Warning marker tapes.